Headed by the passionate chef Philippe Bélot, the Auberge du Forgeron has made a name for itself as one of the best fine dining restaurants in the region. 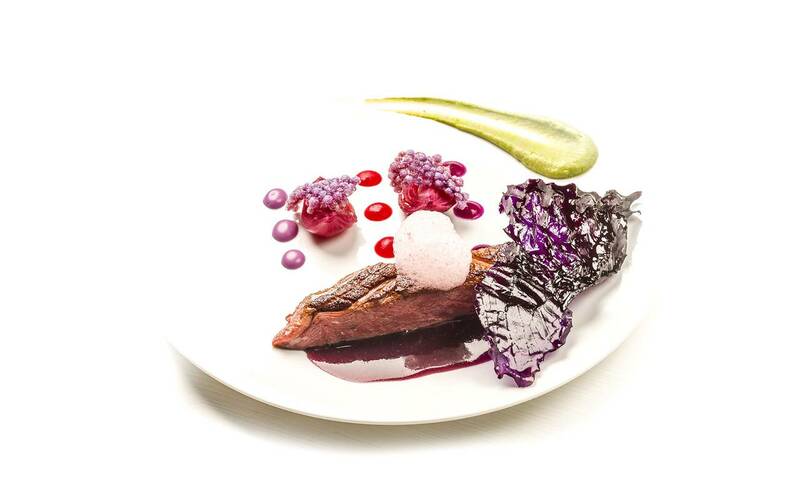 Inventive and personal cuisine, always in search of new techniques and flavours. It's the place to be for fine food. As proven by the l'R du temps ten-course menu that offers a real gourmet journey and the concept developed by the chef: Tastism. The restaurant boasts a large dining room, an incredibly luminous air-conditioned sun lounge and a charming terrace. The menu changes according to the produce found by the Chef with a number of specialities passed down for three generations. You will also find a prestigious wine menu, another of the chef's passions. 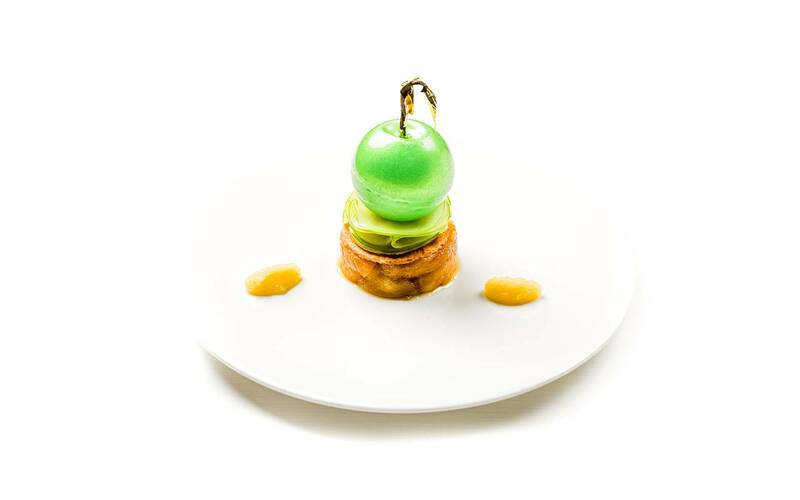 "Cooking, without ceasing to be an art, will become scientific and subject its formulas, which remain too often empirical, to a method and a precision that will leave nothing to chance"
Smoked eel, foie gras dome glazed with rhubarb, ice, lime gel, etc. Choose a set menu, state your food intolerances and dislikes and let yourself be led. "My grandmother's garlic soup made such an impression on me that I've never dared recreate it! Thanks to this family know-how, I've created an imaginary realm. I began to devise dishes and create my signature as a chef. I grew up in this hotel, I had my childhood bedroom here." You go to the Auberge du Forgeron to enjoy yourself but also to live out an experience. 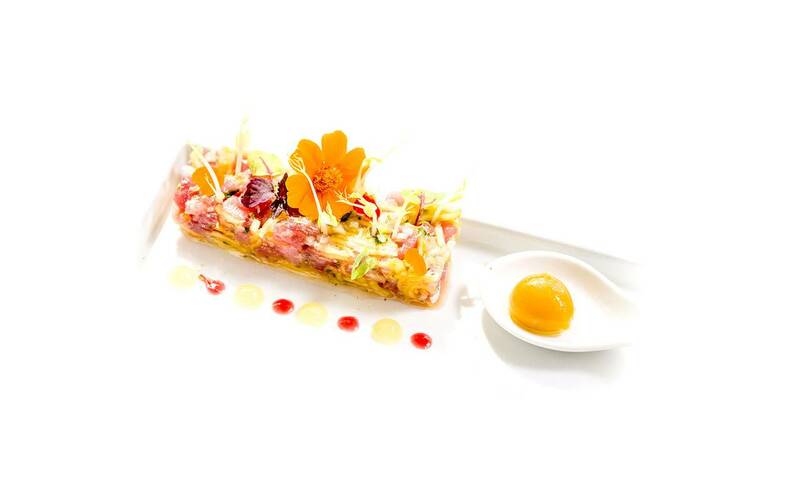 Simply put yourself in the capable hands of Philippe Bélot, a creative, self-taught chef simmering with ideas. His grandparents owned the Auberge du Forgeron back in the fifties. His parents took over the business in 1963. "As a kid, it was out of the question to stay doing nothing. I would've preferred to read a book, but my father expected me in the kitchen. So: I peeled vegetables, I made pâtés and tarts, did butchery... My grandmother's garlic soup made such an impression on me that I've never dared recreate it! Thanks to this family know-how, I've created an imaginary realm. I began to devise dishes and create my signature as a chef. I grew up in this hotel, I had my childhood bedroom here." 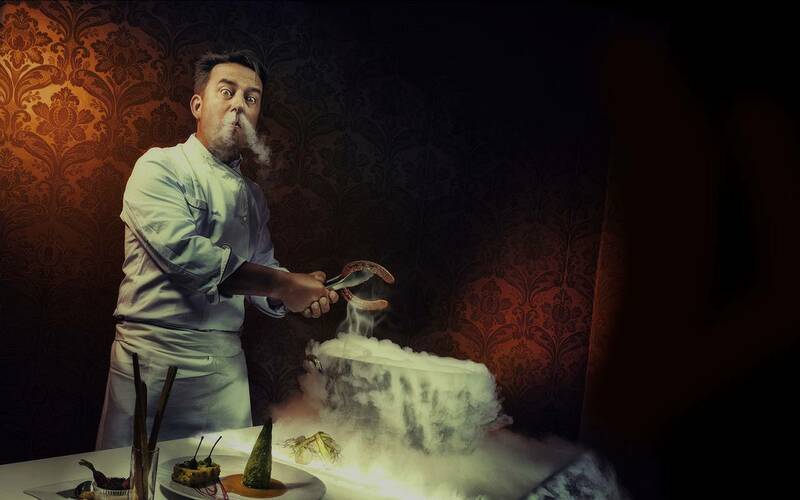 After studying business and doing a variety of jobs, Philippe Bélot began his career as a chef at the age of 30 after a little tour of France. He learnt with his father and took over the family business shortly afterwards. Since then, the self-taught chef has gradually evolved. Today, I view Hôtel Bulles as the climax and my final recipe. And, it goes without saying, the best.